My Instagram mostly consists of nail-related photos & I'm often getting asking which nail varnish I have used. Here is just a small round-up of my nails over the past month or so, including my 'go-to' Essie nail varnish, 'To Buy or Not To Buy'. I used to change my nails almost every three days before I started working full-time - now I can only give my nails some TLC on weekends so I have to opt for shades/designs that I won't get bored of during the week. 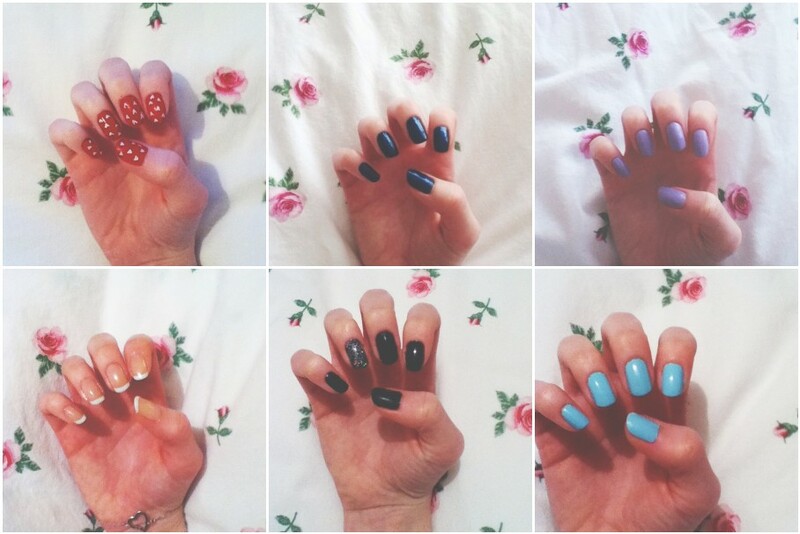 Gorgeous nails, such a lovely post! I think this month has been a good month for your nails! The Top left photo is my favorite! !